Posted by elizabethwong in Aufheben, Note2Self, Photojournalism, RIP. Posted by elizabethwong in Economy, Event, Human Rights, Malaysia, Photography, Photojournalism. Posted by elizabethwong in Current Affairs, Economy, Malaysia, Photojournalism. It was an odd place to pick for a mass demonstration. Flanked by two lions, supposedly representing the Sphinx, Sunway Pyramid is an Egyptian theme park gone mad/bad. But bring thousands (this time, it wasn’t just the political activists) who stood firm on their right to assemble peaceably against the toll hike, and it became quite an amazing visual. There were students, workers, trade unionists, off-duty journalists, housewives, fund managers and bloggers. I spotted a TV producer, a friend who works in public relations, a tech-consultant and some friends whom I’d not seen for a while. Malaysia’s Most Influential Blogger, Jeff Ooi came, looking like ‘Rambo’, armed to the teeth with his D-200, slingbags of lenses and other photography accessories. He was, and is, very, very, *VERY*, upset with the toll-hike. Posted by elizabethwong in Environment, Malaysia, Photography, Photojournalism. Posted by elizabethwong in Democracy, Human Rights, International, Photography, Photojournalism, Travel. Gwangju, a city four hours south of Seoul, is a historical site for democracy activists, symbolic for both Koreans and Asian activists. A Mecca of sorts. 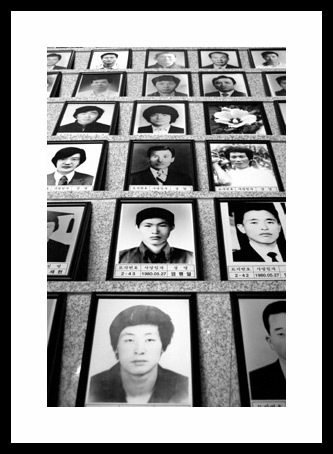 On May 18, 1980, the first uprising against the military dictatorship and martial law started in Gwangju by university students. This was in response after a series of setbacks, from clampdowns on the media and the arrest of then Opposition politician Kim Dae Jung (Kim later was freed from prison and went on to become the President of South Korea). Posted by elizabethwong in Human Rights, International, Islam in Southeast Asia, Note2Self, Photography, Photojournalism, Southeast Asia. 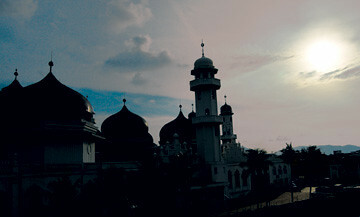 Today marks the first anniversary of the Memorandum of Understanding signed between Gerakan Aceh Merdeka (GAM) and the Government of the Republic of Indonesia.Tens of thousands of people converged from all over the province to the capital city, Banda Aceh today at the Baitulrahman Mosque (picture above) to rally and pray for endless peace. Former Finnish President Martti Ahtisaari, was also in town, in another ceremony with former GAM combatants and officials from the Central government. Although the special legislation for the province was recently passed by the People’s Legislative Assembly (DPR), there are some grievances which centred on some commitments which did not see the light of day, as stipulated in the MOU. There were nonetheless great opposition from key political parties, including PDI-P, PKS and Golkar which claimed that the autonomy in the then bill amounted to a breakaway state. And the calm that followed was nothing short of remarkable. 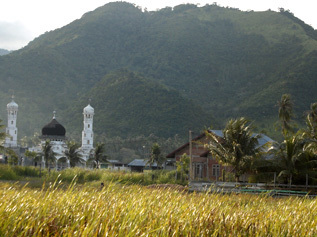 I was in Aceh at the time when the final handing-over of weapons were conducted and the last military tanks rolled out of the province. Posted by elizabethwong in Current Affairs, International, Photography, Photojournalism, Politics. Posted by elizabethwong in Current Affairs, International, Malaysia, Photography, Photojournalism, Politics. Thousands marched for more than 3 km yesterday afternoon in the pelting rain, stopping briefly at the Kuala Lumpur Convention Centre, where the Asean Regional Forum is being held and C. Rice was speaking, and later playing the piano! The rally ended outside the US Embassy and despite the rain, everyone demonstrated for 2 hours. There were PAS, KeADILan supporters, NGOs and even Shi’ites were out on the streets. I was completely soaked for three hours. I didn’t have a lens hood, so my camera was drenched too. Halfway, I ditched my tiny umbrella in favour of a large hairband, because the umbrella wasn’t doing anything to stop me from getting wet. Alright, it was girly-pink too. Ang, Yap and Faisal make their message all too clear outside the Asean Ministerial Meeting at the Kuala Lumpur Convention Centre. Condi looks quite pretty here, with her signature necklace.